Why Choose St. Frances Cabrini? Data Driven Instruction – Our faculty is always evaluating student progress and working to differentiate instruction as needed for all students in the classroom. Researched Based Curriculum – The curriculum we teach in the classroom is well-researched and proven to be effective over the long term in nationwide studies. Project Based Learning is integrated into every classroom. Junior High students can earn up to 3.5 High School credits as 8th graders – Algebra 1, Physical Science, Spanish 1 and Computer Literacy. Structured Classroom – Special education program is offered for students with special needs. Science Lab – We are blessed to have a fully functional Science Lab that is used weekly by our Science teachers. Students in upper elementary and Jr. High perform dissections on specimens such as owl pellets, sharks, and fish. 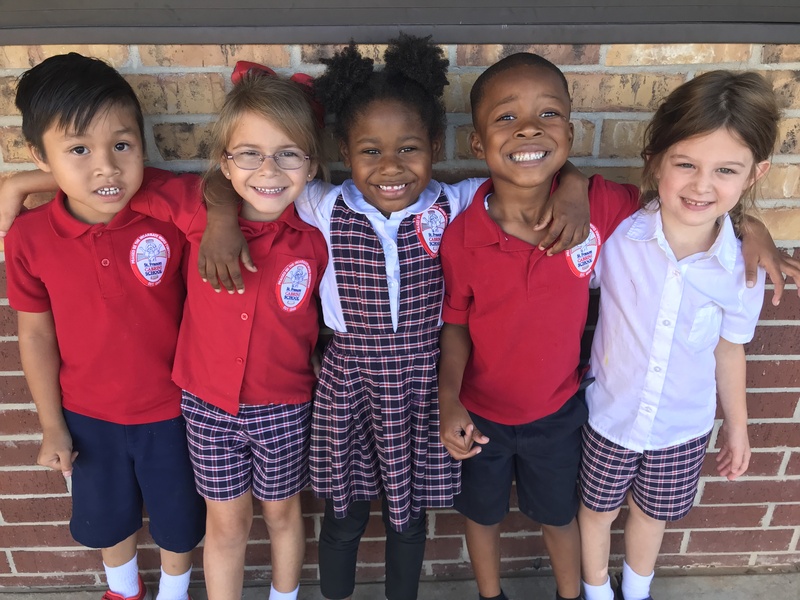 Pre-K Curriculum – St. Frances Cabrini uses a data driven and research based curriculum that incorporates both academic and developmental skills. Begin and end each day in prayer as a school community. We pray before and after every class period, before and after meals, and during Religion classes each day. School-wide Celebration of Feast Days – Such as St. Therese of Lisieux, St. Francis of Assisi, Our Lady of the Rosary, All Saint’s Day, St. Blaise. 3 Sisters on Campus – Sr. Nina Vincent and Sr. Heather Sikes (Sisters of Our Lady of Sorrows) and Elizabeth Ann Holmes (Sister of the Holy Family). Students are encouraged to participate in weekly Masses as lectors, gift bearers, and altar servers, or by singing in the choir. At Cabrini, we try to model G.R.A.C.E. – that our students be Godly, Respectful, Accountable, Charitable, and Educated. R.A.C.E. awards are given monthly. Advent Silver Coin Collection – In Advent 2018, St. Frances Cabrini students, faculty and staff raised over $6,000 and were able to build a home for a family in Haiti. Service Projects –Students visit the nursing homes, serve at the Manna House, and participate in several other service projects during the year for local agencies, such as CENLA Homeless Coalition, Cenla Pregnancy Center and Lily of the Valley. Home and School Association – This active parent/grandparent organization meets monthly and provides activities for students, treats for teachers, and helps raise money for special projects around the school. Catechetical Quiz Bowl – Diocesan sponsored event that we participate in each year. Local Competitions – Students participate in the VFW essay writing contest, Americanism Contest, Catholic Daughters Contest, Rapides Parish Library, Bookmark contests. 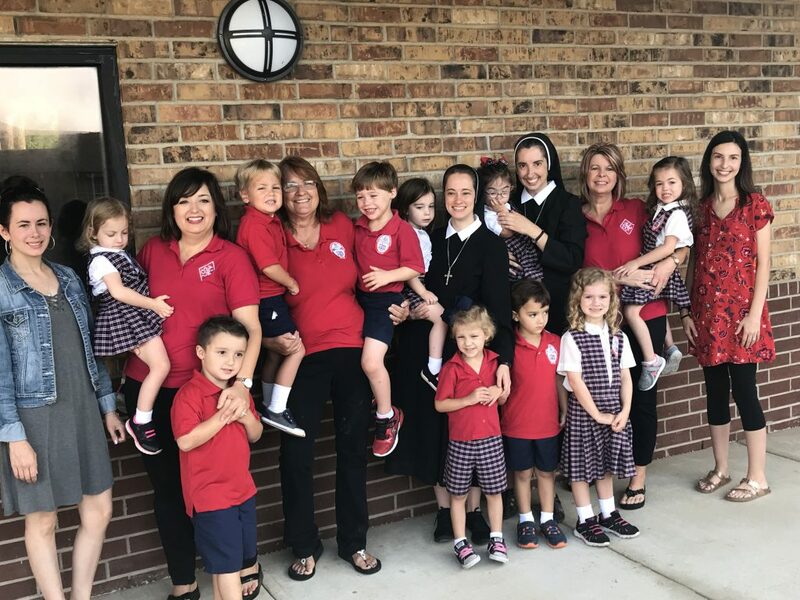 St. Frances Cabrini School is a family of faith, consecrated to the Incarnate Word, and committed to God’s call of forming students entrusted to us in sound doctrine and purity of heart. In partnership with our parents and directed by the Holy Spirit, our administration, faculty, and staff strive to ensure that all subjects are presented in the light of our Catholic faith. Our mission is to recognize and develop natural talents of our students and form them in the ways of faith so that they may grow all their lives as committed disciples of Christ the Lord “in wisdom, age, and grace” and play their part in building the Kingdom of God.